The Trux Highway protects the whole of the front. 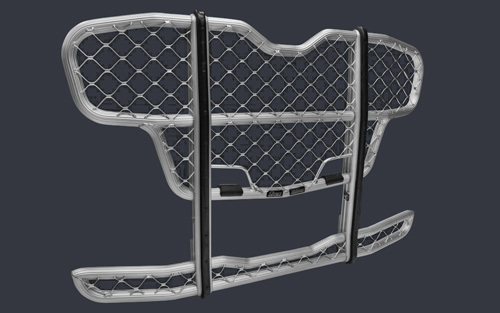 The lower part acts as front under run protection and gives your truck a personal touch. When cleaning your windscreen you can use it to climb on. The Trux Offroad has high ground clearance and is therefore perfect for vehicles that are used for construction work or in places where the ground is uneven. 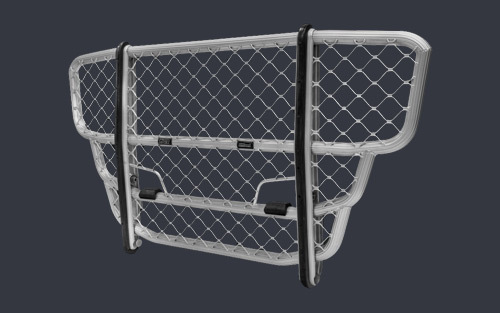 The front protector enhances the truck’s appearance whilst also protecting the front. When you clean the windscreen, you can use Trux Offroad to climb on. 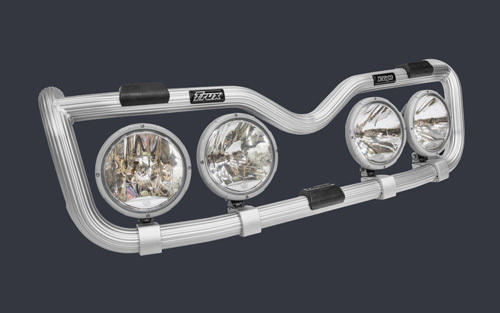 The Trux X-light fits on the front grill of your vehicle and is supplied pre-wired for 4 lights and comes complete with 4 spotlight clamps. LEDs or warning lights can be added to your bar. 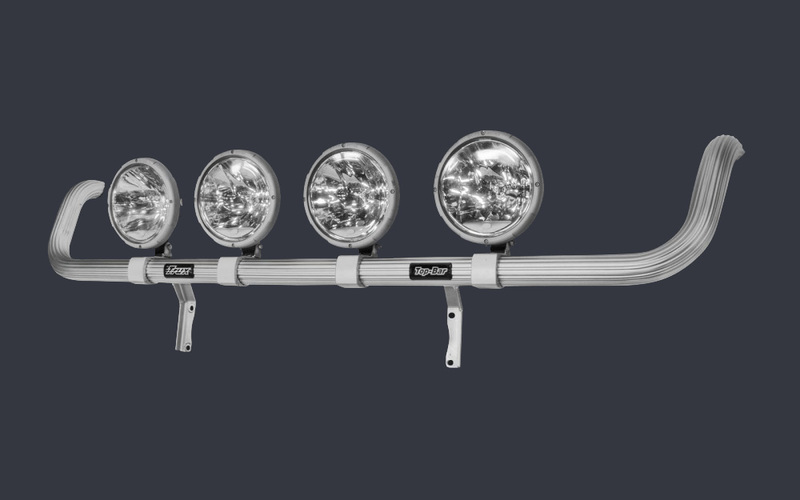 The Trux Light bar has room for a number of extra lights. 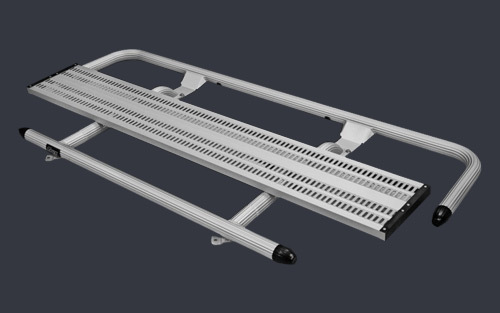 As it is mounted on the upper part of the front grill, it is not in the way of any other equipment you may wish to install there. 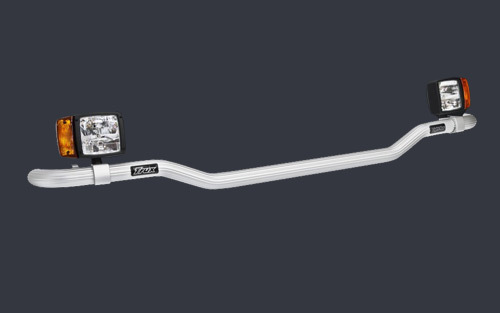 The Trux Top-bar is a versatile light bar for roof mounting. You can fit it with extra lighting, warning lights or an illuminated roof sign. To personalise your bar, we offer a range of options to customise. Pre-wiring is available for all bars, and you can also choose to add LEDs fitted in your bar. Spotlight clamps are available in standard finish to fit smooth aluminium bars and there are Airflow spotlight clamps which are made to fit the Airflow aluminium profile bars too.